MAHP member health plans have consistently been rated the country’s best for clinical quality and have been pioneers in developing new and innovative programs to improve quality of care for individuals with chronic and acute conditions. While the approach each health plan takes may vary, the goal among all is the same: promoting measures that improve patients’ health outcomes, care experiences and well-being. 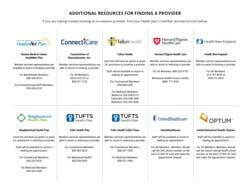 If you are having trouble locating an in-network provider, find your health plan’s member assistance tools in this helpful PDF. 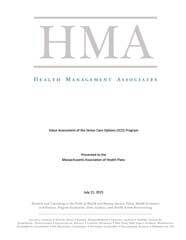 The white paper examines the differences between the benefits the Senior Care Option (SCO) plans offer and the services provided to dual-eligible individuals who receive care in the fee-for-service Medicare and Medicaid programs. The report concludes that the state could generate significant savings, offer enhanced benefits, and provide a simpler, more convenient process for providers by enrolling all eligible low-income seniors in one of the state’s SCO plans. 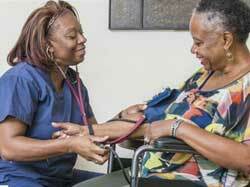 New Report Shows Expanded Use of Senior Care Options Could Avoid Significant Nursing Home Costs for the State. MAHP video series looks at the programs health plans have in place to improve the health of their members and how they are tailoring programs to address the unique needs of different populations.